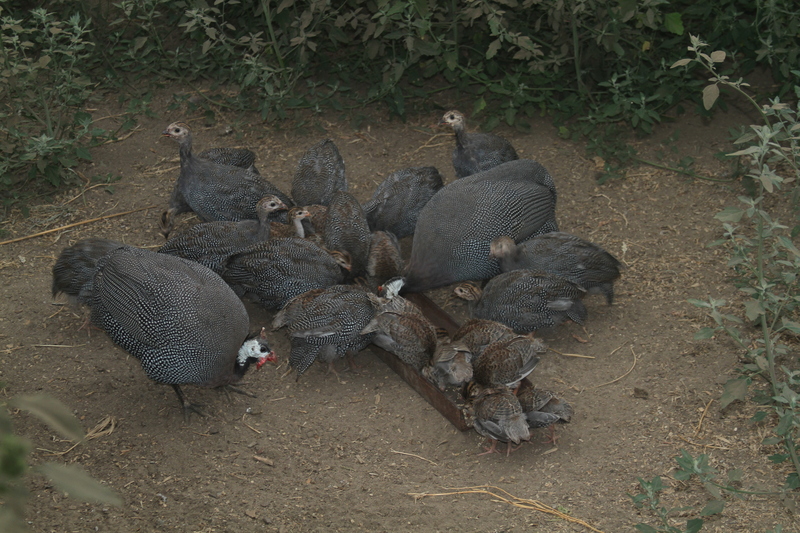 These Helmeted Guinea Fowl are the latest addition to our diverse species farming operation. They are very hardy and are known for their “sounding the alarm” ability when something unusual occurs, or they detect the presence of a predator. We started off with 15 one day old chicks from a hatchery and a week later we were given a breeding pair with 12 older chicks. Once they have acclimatized and figured out where home is, they will be encouraged to roam the property, to feast on ticks and other insects and weed seeds. They are very sociable birds and will happily adopt the cattle as part of their flock. Great pic! I remember Guinea Hens from the farm across the street from me in New Jersey. They definitely are vocal when there is danger (or deer, or tractors).